12 September 2018, Cambridge, UK—The pharmaceutical industry has achieved great success in delivering innovative medicines, but life science companies must become ever more consumer-centric if they are to realise the step change in improving patient outcomes that their science promises, according to a new patient engagement handbook released today. Patient Engagement for the Life Sciences by Guy Yeoman and Mitchell Silva explains the ‘why’ and the ‘how’ of patient engagement, presenting the compelling argument for why life science companies need to embrace and partner with patients and outlining an operating framework for doing it effectively. “It’s so important to shift from patient-centric rhetoric to an integrated model where life cycle decisions are informed by patient insight and patient solutions are created with patients,” Yeoman commented. Guy Yeoman has worked for the last two decades in the pharmaceutical industry, and in the last three years he built a patient-engaging capability in a large pharma organisation. Mitchell Silva is a patient expert and Chair of the European Patients’ Academy (EUPATI) in Belgium. They are co-founders of MediPaCe, a strategic consultancy that works with the life science industry to make patient engagement a reality. In Patient Engagement for the Life Sciences, the authors discuss the future of the pharmaceutical industry and how a number of drivers — including digital technology, patient expectations, outcomes-based payments and spiralling R&D costs — will make co-creating medicines with patients crucial to pharma companies’ ability to continue to deliver patient value. 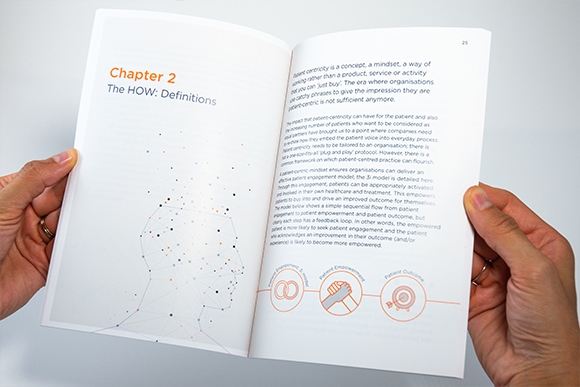 It goes on to describe the framework necessary for embedding patient engagement into business practice, and the process for transforming into a company with patients at the centre of its culture. 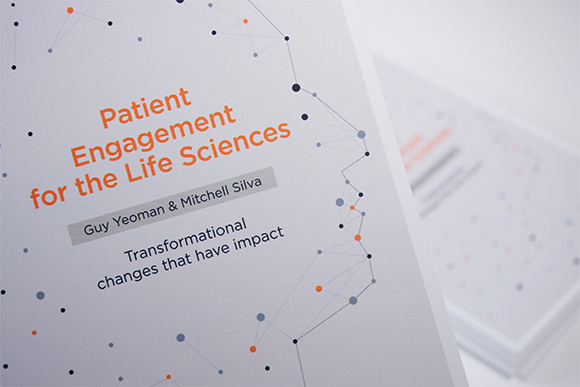 Patient Engagement for the Life Sciences is now available as an eBook. Any profits generated from book sales will be donated to International Health Partners UK, Europe’s largest coordinator of donated medicines, to support patients around the world.